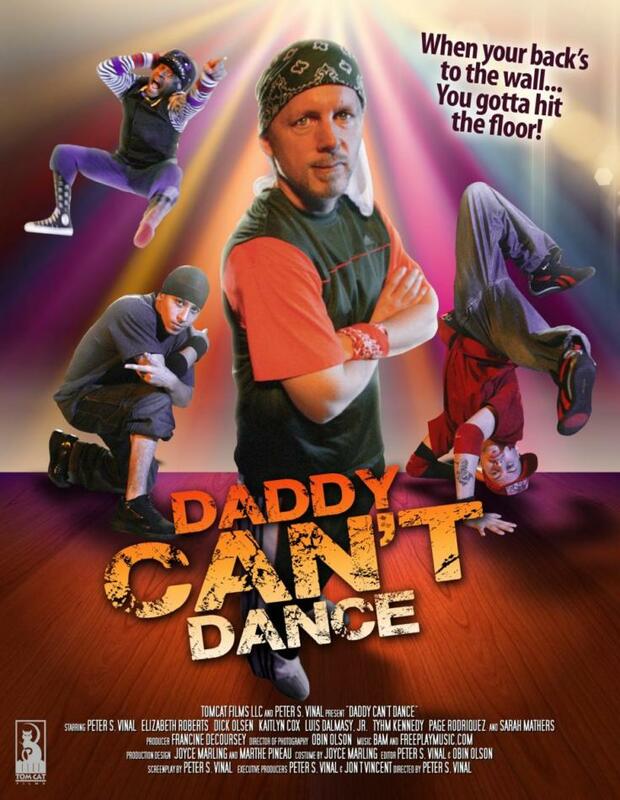 The film “Daddy Can’t Dance” is a heart-warming family film about a former break-dancer, who has just lost his Dad, his job, and now his precious six-year-old daughter is seriously ill and needs an expensive operation. The father now broke with his back against the wall is determined to raise the money to save his daughter’s life, he calls on his former break dance partners, to get him in shape for an an old-school meets new school “break-dance” competition with a large cash prize. The finale is a dynamic “Break-dance” competition featuring some of the best “B-boys” from NY, California, & Puerto Rico, incorporating innovative camera techniques to make the dancing look 4-dimensional.